COAR Annual Meeting is approaching ! 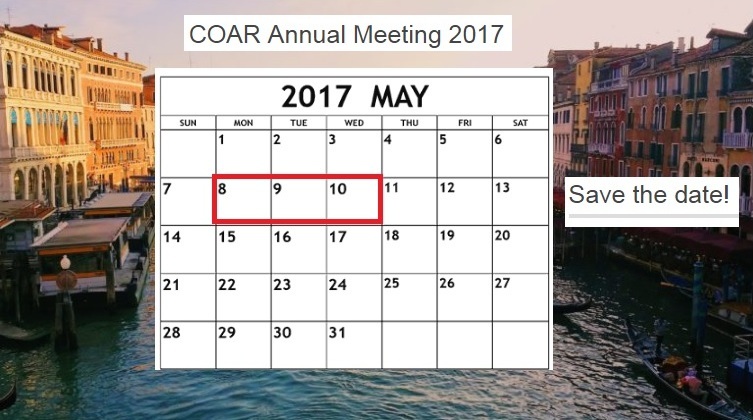 The COAR Annual Meeting (8-10 May in Venice, Italy) is approaching and specific sections will be reserved to the Controlled Vocabulary, the Next Generation Repositories and Research Data Management issues. Please find below the meeting schedule.